Toronto, ON: Macmillan of Canada, 198 Softcover of 496 pp. with illustrations. 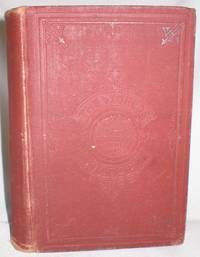 This author is known for his involvement in and promotion of the Maritimes, as was his father. Born in Charlottetown, McNutt taught at Netherwood school in Rothesay and University of New Brunswick, where he retired. He died in 1976. . First Paperback Reprint.. Soft Cover. Very Good/No Jacket. Illus. by Photos, Maps, and Drawings. 8vo - over 7¾" - 9¾" tall. London: George Routledge and Sons, Limited, 1892 Note: Very small print. Dark blue cloth on boards. Public library evidence, but not damaged or inscribed. 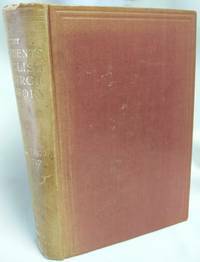 Contains Life of Flavius Josephus, The Antiquities of the Jews, The Wars of the Jews, Flavius Josephus Against Apion, Josephus's Discourse to the Greeks Concerning Hades, and Appendix. 762 pp. with index. Heavy book will need extra postage.. Hard Cover. Good Plus/No Jacket. 8vo - over 7¾" - 9¾" tall. London: T.N. Foulis, 1911 Sixteen colour illustrations reproduced from oil paintings by J. Lawton Wingate, together with historical accounts. 231 pp.with index.. Hard Cover. Good Plus/No Jacket. Illus. by J. Lawton Wingate. 12mo - over 6¾" - 7¾" Tall. Saint John, N.B. 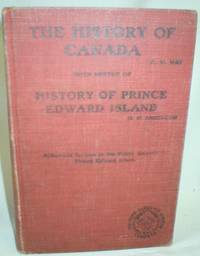 : New Brunswick Historical Society, 1980 Original dark blue card cover trade paperback. Previous owner's name in pencil. Based on his 1825 work. 133 pp.. Reprint of 1921 Edition. Trade Paperback. Very Good/No Jacket. 8vo - over 7¾" - 9¾" tall. 1891 Maroon cloth on boards. Binding matches The Story of Man, listed separately. (SOLD) Shelf wear. Dozens of illustrations, some in color. 624 pp. with index. Weight 7 lbs. Very heavy book will need extra postage.. First Edition. Hard Cover. Good Plus/No Jacket. Illus. by Various Artists. 4to - over 9¾" - 12" tall. New York: Harper & Row, 1964 Grey cloth on boards. DJ price-clipped. One of the World Perspectives Series. Chapter titles are: What the Historian Thinks He Knows; History, the Humanities, and Anthropological Change; History and Psychoanalysis - The Explanation of Motive; The Sweep of the Narrative Line; and Is Contemporary History Real History ? 107 pp.. First Edition Stated. Hard Cover. Very Good/Good. 12mo - over 6¾" - 7¾" tall. Toronto: Key Porter Books, 2009 Blue cloth on boards. Book and DJ faultless. 503 pp. with index.. First Edition.. Hard Cover. Very Good/Very Good. Illus. by Photos. 8vo - over 7¾" - 9¾" tall. London: The Folio Society, 1965 What a thrill, to be taken back to my Ohio University Honours English Class presided over by Dr. Paul Kendall ! Just ten years later, he wrote Introductions to this "Great Debate" as an expert on Richard III. Book and slipcase are faultless. 244 pp. with index.. First Edition.. Hard Cover. Near Fine in Slipcase/No Jacket; In Slipcase. Illus. by Drawings. 8vo - over 7¾" - 9¾" tall. Ottawa: Oberon Press, 1979 Tan tweed on boards. DJ has two faint spots on front. While Lord Durham is dealing with rebellion in Canada in the summer of 1838, his wife was keeping his mother-in-law informed. The Report on the Affairs of British North America is credited with leading to the union of 1841, responsible government, and Confederation. 203 pp. with index.. Hard Cover. Very Good/Very Good Minus. 8vo - over 7¾" - 9¾" Tall. New York: The Overlook Press, 2012 "Gives a human face to a paradoxical people." - The Times. 611 pp. with index. Heavy book will need extra postage.. First American Edition. Hard Cover. Very Good/Very Good. Illus. by Photos. 8vo - over 7¾" - 9¾" tall. Toronto: Progress Publishing Co., 1945 Grey cloth on boards. No writing or damage. Dated from third page of the Introduction. Some entries in each official language (not bilingual). . Hard Cover. Good to Very Good/No Jacket. Illus. by John A. Hall. 12mo - over 6¾" - 7¾" Tall. London: Amber Books Limited, 2011 Records of 170 key encounters from ancient Egyptians to the end of the Napoleonic era. Huge, heavy book of 320 pp. will need extra postage. Book is faultless. DJ has one-inch tear at foot of spine.. First Edition. Hard Cover. Near Fine/Very Good. Illus. by Various Artists. 4to - over 9¾" - 12" tall. New York: Charles Scribner's Sons, 1900 Blue cloth on boards. Previous owner's bookplate. No writing or damage. The war under consideration is the Franco-Prussian War of 1870-1871. The French government under Napoleon III issued a plebiscite, in which a "yes" vote was for peace, while a "no" vote was in favour of war with Prussia. 338 pp.. Second Edition. Hard Cover. Very Good Minus/No Jacket. 12mo - over 6¾" - 7¾" Tall..
Pocono Pines, Pa.: The Craftsmen, 1956 Light grey boards within heavier homemade brown boards. 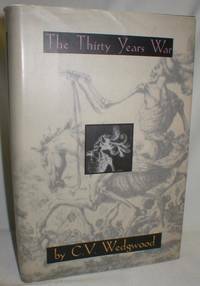 Refutes the popular arguments that Germany was nearly decimated in the 30 Years' War. 40 pp. Laid in is a 4-page section of the New Freeman for June 30, 1990, featuring names and photos of 13 graduates of Holy Heart Seminary in June, 1940, and the Grade Twelve Class of Saint John High School in 1949. Library number but no evidence of circulation. Clean and sound.. Homemade Boards. Very Good/No Jacket. 4to - over 9¾" - 12" tall. 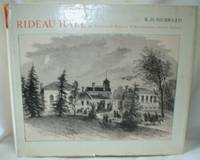 Ottawa: Roger Duhamel, 1967 A though introduction to Government House and its occupants. Laid in are a small colour brochure of Government House and a faint printout of the exterior. 139 pp. with index.. Hard Cover. Very Good/Good Minus. 9 1/2 x 10 1/2 Oblong. Toronto: Copp Clark, 1905 Red cloth on boards. Two small books under one cover. Frequent underlining in pencil. Endpapers full of notes. 123 pp. Gutter crack.. First Edition. Hard Cover. Good/No Jacket. 12mo - over 6¾" - 7¾" tall. Halifax, N.S. : A. And W. MacKinlay, 1883 Maroon cloth on boards. Foxing to front endpapers. Previous owner's name. Front hinge cracked. Ancient Oriental Monarchies. History of Greece. History of Rome. Mediaeval History. Modern History. Appendix. 516 pp. with index.. Revised Canadian Edition. Hard Cover. Good Plus/No Jacket. Illus. by 28 Maps. 12mo - over 6¾" - 7¾" tall. New York: Book of the Month Club, 1995 Grey paper boards backed in grey cloth. No marks or damage to book or DJ. 544 pp.. Book Club Edition. Hard Cover. Near Fine/Very Good. 8vo - over 7¾" - 9¾" tall. Fredericton, N.B. : New Ireland Press, 1984 Original colour photo yellow trade paperback. Previous owner's name both written and stamped on title page. Corners of back cover slightly creased. 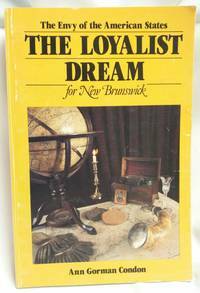 Comprehensive, scholarly history of the Loyalists, highlighted by colour photos of related furnishings from the New Brunswick Museum. 237 pp.. First ( No Additional printings). Soft Cover. Very Good/No Jacket. Illus. by Maps, Drawings, Colour Photos. 8vo - over 7¾" - 9¾" tall. London: John Murray, 1900 Brown cloth on boards. The middle volume of a th ree-volume set. From the accession of Henry VIII to the silencing of convocation in the 18th Century. 613 pp. with index.. New Impression, Sixth Edition. Hard Cover. Very Good/No Jacket. 12mo - over 6¾" - 7¾" tall.